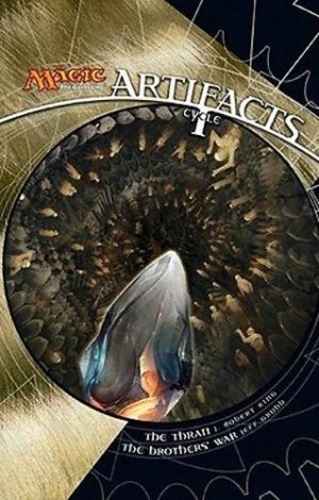 For the first time ever, the prequel and book 1 of the Artifacts Cycle together in one volume. Before the Brothers' War, before the five colors of magic, before history itself, Dominaria was ruled by the Thran, an ancient race who built machines and artifacts, the likes of which have never been seen since. But amid this civilization, a shadow took root, one that would stretch its arms across space and time. Amid this ancient civilization's advances, the hideous evil of Phyrexia was born. Years later, a conflict between the brothers Urza and Mishra over the supremacy on the continent of Terisiaire escalates with the discovery of an ancient artifact, a remnant of the Thran, but with it comes the peril that befell them.